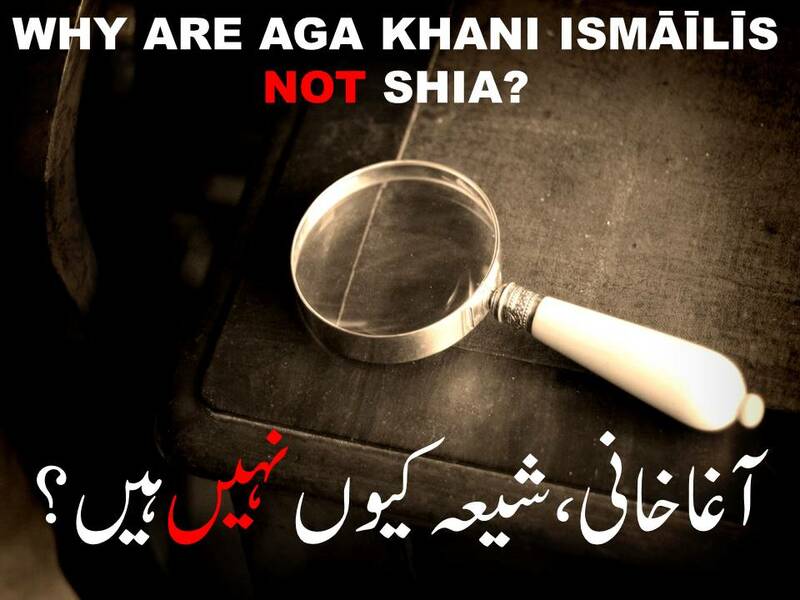 Why are Ismailis not Shia? Nizari Ismailis claim that they are the ‘second-largest’ branch of Shia Islam. This claim however, is widely and almost unanimously rejected in the Shia circles and by all of the Shia scholars. Shia Islam mainly consist of the first group of Twelvers; only a small fraction of Shia are Seveners . The Twelver majority countries are Iran, Azerbaijan, Bahrain, Iraq and Lebanon. None of these countries have any Sevener or Ismaili population even worthy of a census. Despite being a very small community, Aga Khani or Nizari Ismailis continue to claim being the “second largest” Shia community. On some occasions they have tried representing Shia Islam. However, Shia Muslims continue to reject Nizari Ismailis and any initiatives sponsored by the Aga Khan. Muhammad Raza Dawoodani also explained in the above video that Shia and Sunni are united in their stance in rejecting Ismailis as any sect of Islam. One of the severest blows against Aga Khani Ismailis’ efforts to disguise themselves as the ‘second-largest’ group of Shia Muslims was when the Shia Grand Ayatollah Allama Shaykh Muhammad Hussain Najafi clearly declared them outside of the fold of Shia Islam and Islam altogether. Allama Muhammad Hussain Najafi is known in the Twelver (Athnā‘ashariyyah or Ithnā‘ashariyyah) circles as being as non-Takfiri (one who does not declare other sects as outside the fold of Islam) and has earned further respect by being included int he lists of “The 500 Most Influential Muslims” in 2010 and 2011. He is also one of the only two Twelver Shi’i aalims from Pakistan who have been elevated to the status of marjiyyat. Marjaʿ (Arabic: مرجع) is a title provided to a Shia authority – a Grand Ayatollah who has the authority to make legal decisions within the confines of Islamic law for followers and less-credentialed clerics. After the Qur’an and the Prophets and Imams, marājiʿ are the highest authority on religious laws in Shia Islam. Allama Najafi clearly explains in the above that the reason for ruling Aga Khani Ismailis out of the fold of Islam is their rejection of all the tenants of Islam such as prayer, fasting, zakat and Hajj. Rulings by other Muslims groups can be found on other pages on this site as well as in the Downloads/Books section.